Sharing my personal experiences, from growing up in a sporting goods store, to finding a whole new life within the airgun hobby. in Re: Happy Birthday Alan! Announcements from the Airgun Guild Forum. 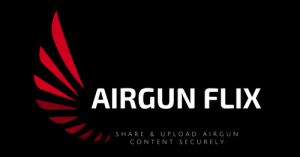 Just joined up to the Airgun Guild Forum? Introduce yourself, and your airguns! This is the general airgun discussion board for airguns, air rifles, pellet guns, bbguns, etc. Bob Sterne is a dedicated and knowledgeable airgun enthusiast, but not a qualified Engineeer. The answers he presents are offered as his opinions only, and he, and the AirGun Guild take no responsibility for their accuracy. You agree to use this advice completely at your own risk. Using, making and designing Airgun Ammo. Where are folks getting together for Airgun Meets, and Shows? Share your airgun related club, organization, or range here. This Airgun forum is for you, the airgun enthusiast. We relish getting feedback and suggestions on how to make this a better experience. And if you have questions on how to use the forum, this is the place. Big Bore Airguns are powerful and exciting airguns. PCP, C02, and Helium Powered Airguns, and related subjects. For the fans of break barrel, pumper and springer airguns. You've just bought your first PCP air rifle, now how in the heck do you fill it up? This board is for the long range airgun shooting enthusiast. This is an Airgun Hunting Forum. It is Not for the tender hearted. If blood and gore, or dead animals offends you, then please do not visit this forum. Airgun Classifieds from Members. You may advertise your airgun related gear, including airguns, scopes, mounts, ammo, etc. You may not advertise banned or illegal items, or non-airgun related items. Dealers and Businesses should use the Airgun Retailer board. Pictures of the actual item for sale are encouraged. For Non Airgun Related Topics - Please remain polite. Political and Religious topics are a dangerous place to go and should be avoided. No name calling, no arguing, no fussing. Just keep it light. Well all make mistakes, so let's share them! This is the place for for all Our Contests and Give aways etc. It's important to track airgun News as it can indirectly or directly affect our airgun hobby. Your donations go directly to maintenance and hosting of the forum, and allows for purchase of custom software to improve the user experience. Thank you for your generous donations! The Guild has Swag! Show your AirGun Guild colors, and support the Guild with your purchase of hats, t-shirts, and other AirGun Guild branded items. Dana Webb is and enthusiast with and eye for capturing golden moments on camera and with words. Dana lives for hunting and anything Air rifle related, He captures beautiful landscapes while enjoying hunts and camping with friends.Im sure If you have visited any air rifle forum you have ran into him(crosman999)and read and seen his work. Travis Munden, aka Bullfrog, is a seventh generation native of the North-Central Florida backwoods. Raised by the last generation of Floridians to live a frontier lifestyle, Travis has a passion for chronicling and sharing the traditional hunting cultures of rural America and repurposing the old wisdom for the 21st century hunter. Center to Travis’ philosophy of hunting is the air gun, a tool that he believes is key to bridging the gap between the old frontiersmen hunting cultures and the modern era. Follow Travis into the Backwoods as he shares his knowledge and thoughts on air guns, hunting, conservation, ethics, survivialism, and the outdoors as a way of life. Hajimoto is a Massachusetts native who through scouting, has developed a healthy respect and appreciation for responsible balance between nature and airguns. He is one of three brothers who grew up outdoors and shot hundreds of thousands of BBs and pellets through countless air rifles. Airguns were absolutely essential in teaching young shooters the disciplines required before handling powder burners. Through adulthood, Hajimoto acquired and hunted with many conventional firearms but never drifted far from airguns. No matter how many powder burners were owned or utilized, he always returned to airguns. Maybe it was the simplicity and quietness of air as a propellant, maybe it was the thought of economical shooting or maybe it's the nostalgic lure of an old friend from a simpler time. Today, Hajimoto combines his engineering background with airguns with a dash of his unique sense of humor to create some rather entertaining videos and articles which you are all invited to participate in. Be careful though as you may learn something or you may laugh but maybe, just maybe, you'll do both.